There is a shoe sale going on at Bakers this weekend, buy one get one half off! 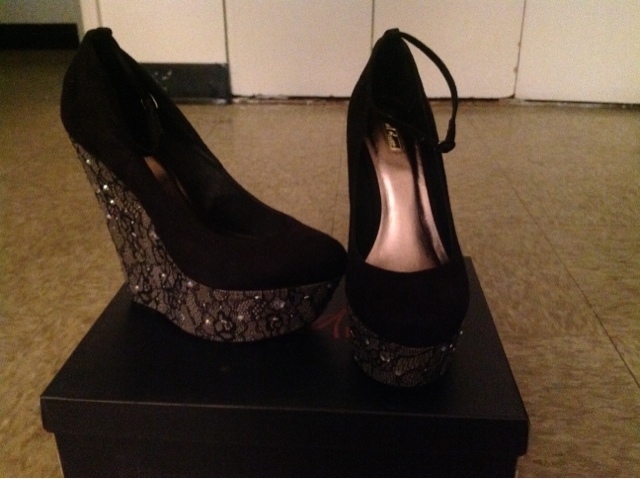 So yesterday I bought these black jeweled 6 inch platform wedge pumps by Wild Pair. They're so comfortable and are on sale for only $29.99! Don't miss out on the sale this weekend.